Lightning connector for iOS, cutting edge noise-cancelling technology. 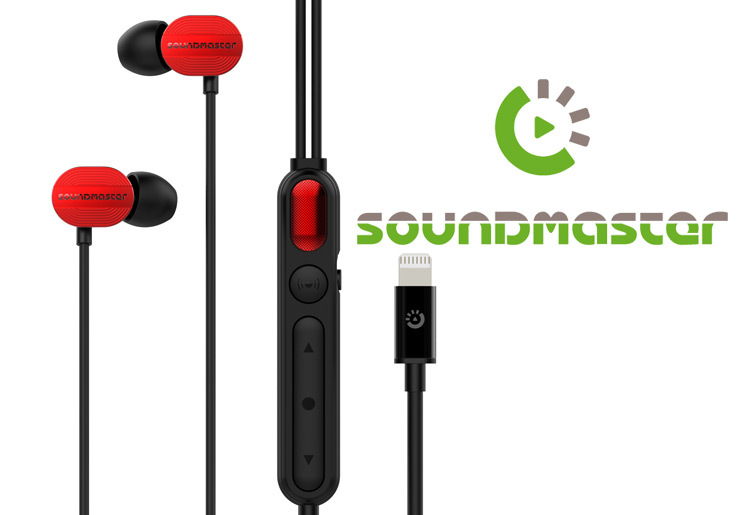 Introducing Soundmaster E1, your everyday premium acoustic experience with great ease. E1 earbuds have no battery and require no charging. E1 consumes little device battery, you can just kick back and not worry about battery levels. With the powerful active noise-cancelling technology, E1 blocks out ambient background noises and gives you a listening experience free of distractions. Powered by the premium Yamaha DSP chipset, E1 is designed to offer a true high fidelity experience for iPhone and iPad users. E1’s Karaoke Enhancement feature suppresses the noise which causes howling, uses dynamic notch filters to improve voice quality, and enabling special reverberation effects to offer an excellent singing experience.